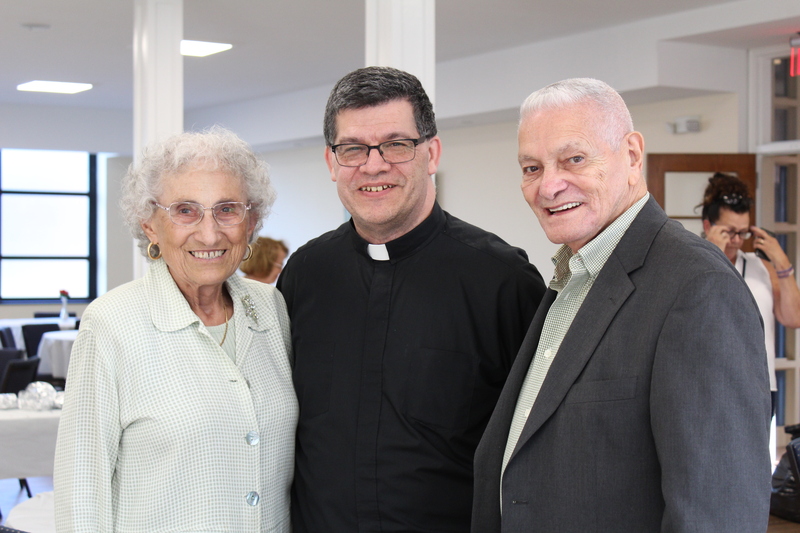 Father Hugh Bradley poses with Angie, (age 88), and Andy Corigliano, (age 92), of Holy Angels Parish, Woodbury, at the reception following the Mass for Centenarians and Nonagenarians. 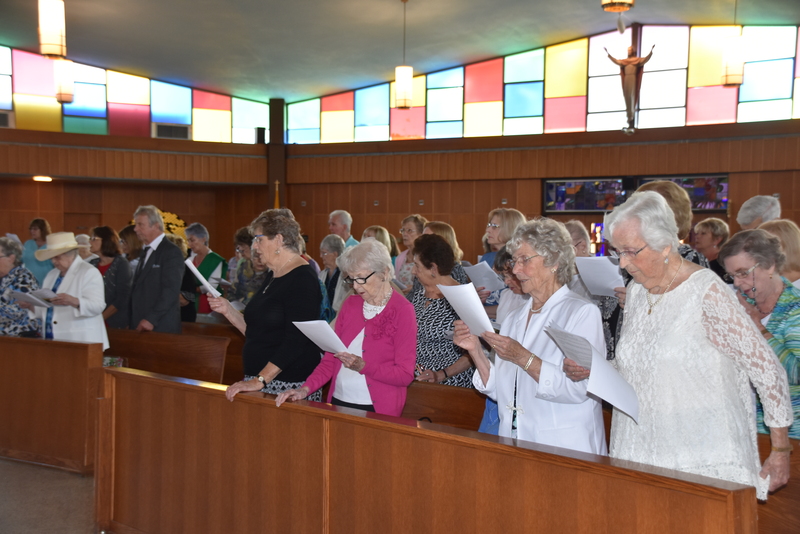 On Sunday September 16th, VITALity Catholic Healthcare Services of the Diocese of Camden, sponsored the second annual Centenarian and Nonagenarian Mass at Annunciation Church, St. Joachim Parish, Bellmawr. This Mass is a celebration of living life in faith to the fullest. Over 120 attended. 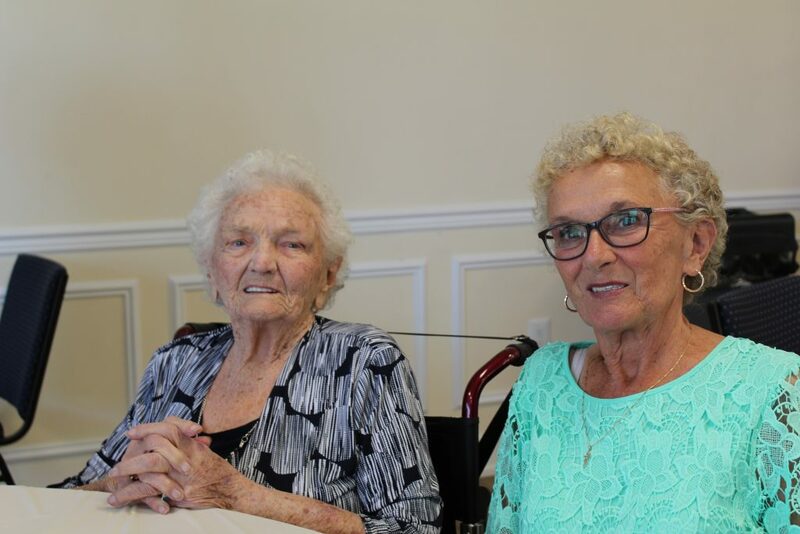 This included nearly 50 men and women in their 90’s and 100’s along with their family members and caregivers. Fr. Brian O’Neill was the main celebrant and homilist. Fr. 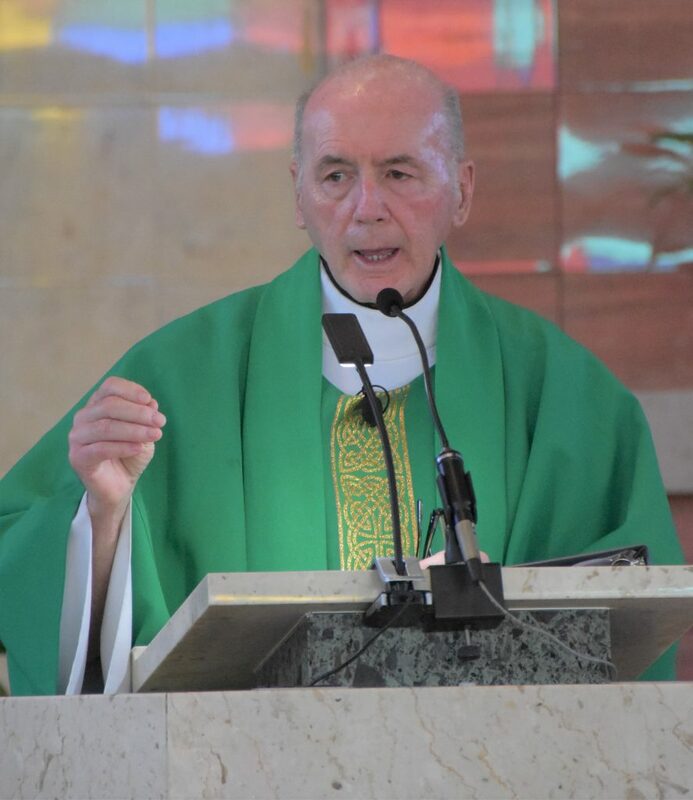 Hugh Bradley con-celebrated and I was honored to assist them as deacon for the Mass. Fr. 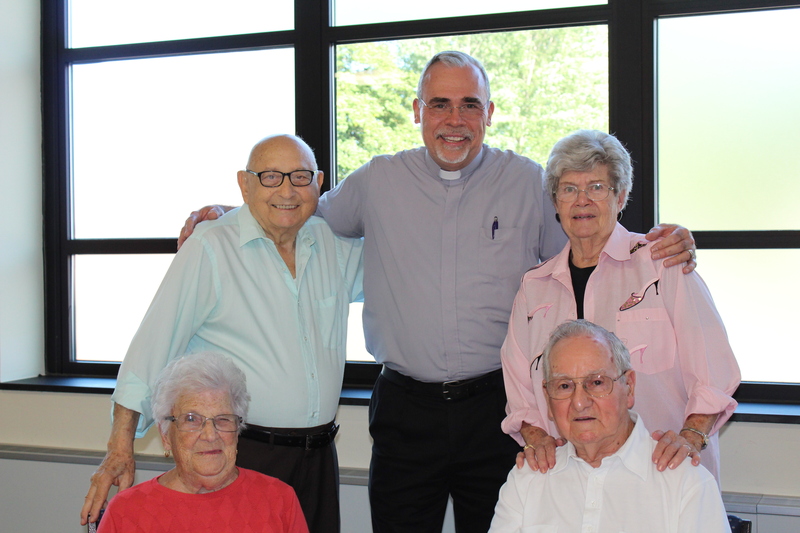 O’Neill preached and commended them for being the “pioneers of faith” for the diocese, in that many of them helped establish several of our existing parishes. He also reminded them their work is not complete in that their work is now centered around prayer for our Church and being witness to the love of God through their presence in the faith community. A reception followed in the Parish Hall where all assembled for light refreshments and fellowship, sharing their unique stories of their lives. It was very evident that each took great pride in identifying their parish and their longevity in practicing their faith. It was truly a celebration of aging. A celebration of Life to the Fullest! VITALity Catholic Healthcare Services is funded through the Healthcare Foundation of the Diocese of Camden and the House of Charity/Bishop’s Annual Appeal. 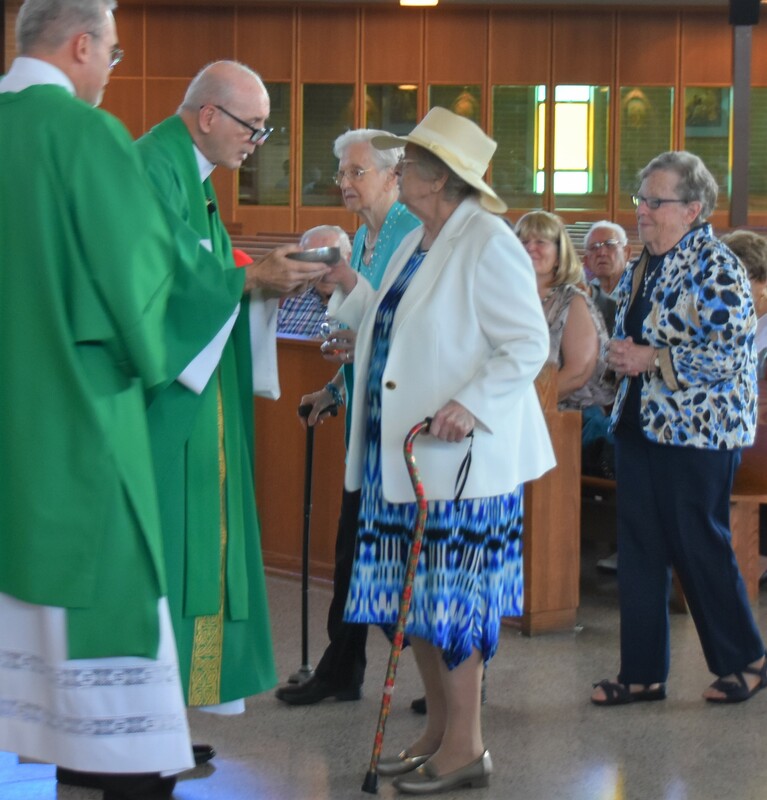 Georgette Rocco, Margaret Rich and Ginny Lacotta bring up the Offertory Gifts. 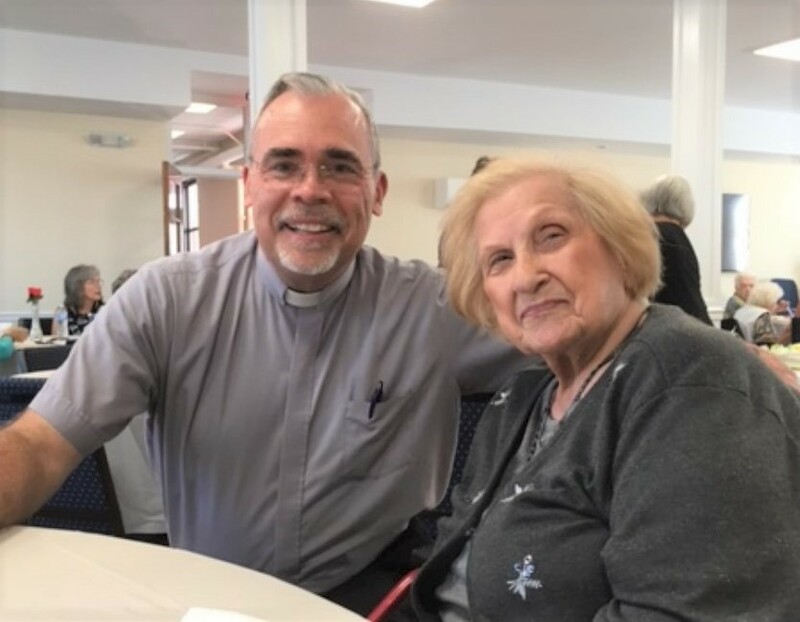 Deacon Jerry Jablonowski with Josephine Nesi (age 105). 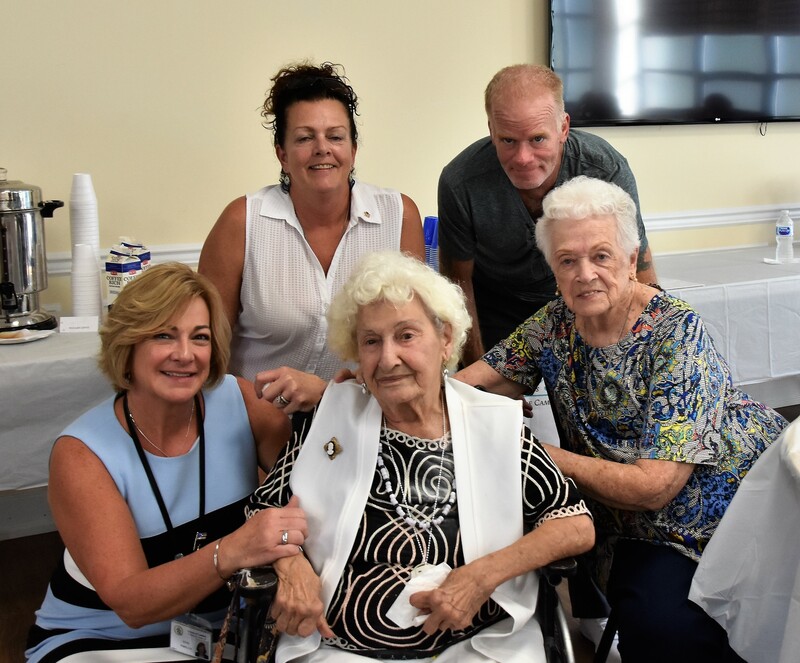 Anne Pirillo, Manager of Senior Programs poses with long time friend Millie George (age 99), along with Elaine Cooper, Kevin Pendergast and their mother Bette Penergast (age 90). Olga Wysoczanski with her daughter Sonjia enjoying the festivities.